Knit in Hobby Lobby's I Love This Yarn Sparkle Art. 100, color #738 Christmas Sparkle, using US 7 needles and Melissa Leapman's Simple Hat pattern (Cables Untangled, p. 33). 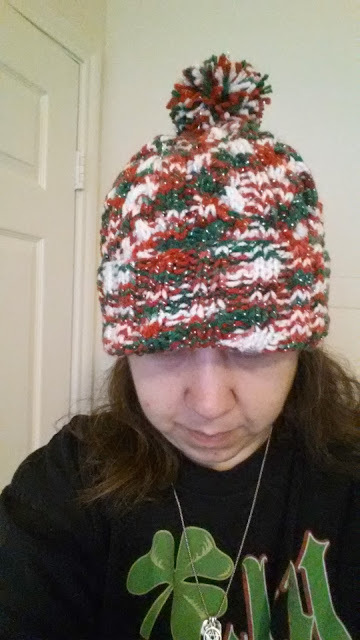 The yarn made a surprisingly heavy and warm hat. The pattern didn't call for a pompom, but it looked naked without one.